Aviation Updates Philippines - Budget carrier AirAsia Zest said it might start flights to Japan by the third quarter, its top official said. Marianne Hontiveros, CEO of Philippines AirAsia, said the airline was looking at flights to Narita, which serves Tokyo, and Osaka. "We've applied for Japan with the CAB," Hontiveros said. 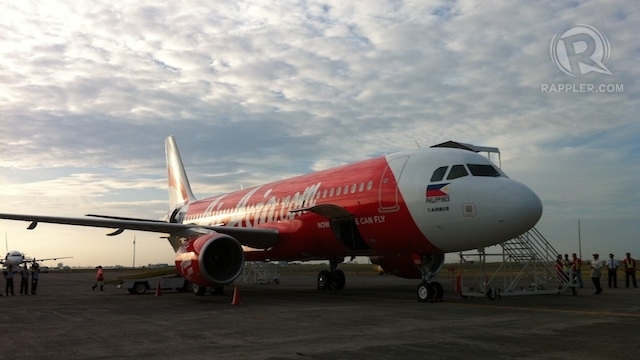 She said once approved, AirAsia Zest might take a few more months to finalize the airline's inaugural flight to Japan. "We're looking at June or July," she added. Flight frequencies for Philippine and Japanese carriers jumped from 119 flights per week to 400 flights, or 80,000 seats, between Manila's Ninoy Aquino International Airport and Narita International Airport, after the successful air talks last year. The new agreement also includes flying rights between NAIA and Haneda, Tokyo's second major gateway, involving 14 flights per week. Unlimited traffic between airports was agreed upon but only for gateways outside Manila in the Philippines and Haneda in Japan. Rival budget carrier Tigerair Philippines, which was recently acquired by Gokongwei-led Cebu Pacific Air, announced that it was planning to fly to Tokyo and Incheon in South Korea early next year. Flag carrier Philippine Airlines and Cebu Pacific have separately announced they were increasing flights to Japan. "The Philippines-Japan route has been under-served over the last five years due to Japanese Civil Aviation Bureau restrictions preventing Philippine carriers from increasing capacity because Philippine authorities were not in compliance with Icao," the Capa Center for Aviation said in a previous report.